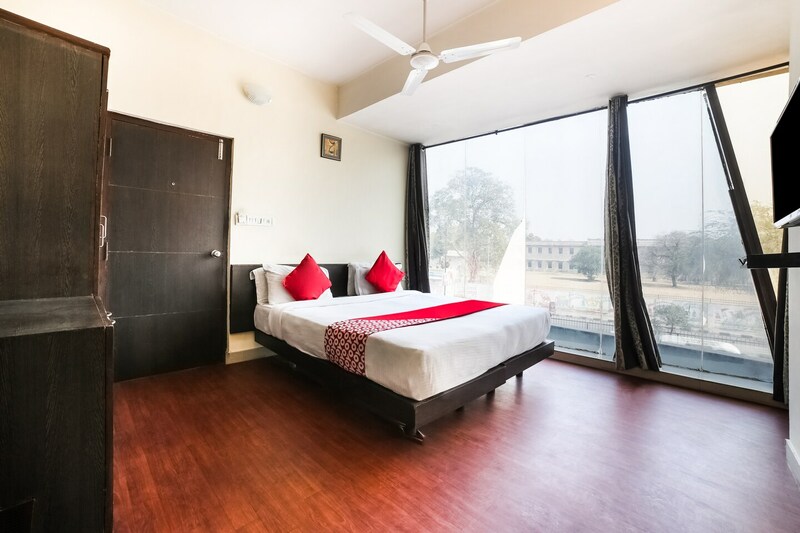 Hotel White Lily is a deluxe property with comfort kept as the top priority at pocket-friendly prices. The ambience of the hotel is bright and has modern decor. The rooms are spacious, warm, with plain light coloured decor giving a positive and lively vibe. The high-rise ceiling glass windows keep the room well-lit and cozy with finely furnished interiors adding a delightful look. The rooms are well-equipped with modern amenities like a room heater for convenience during colder months. Free Wi-Fi, an elevator, laundry, card payment, and parking space are available for guests. The residents can indulge in local cuisine from the in-house restaurant. City Palace Museum, Central Park, and Raj Mandir Cinema are near the hotel.